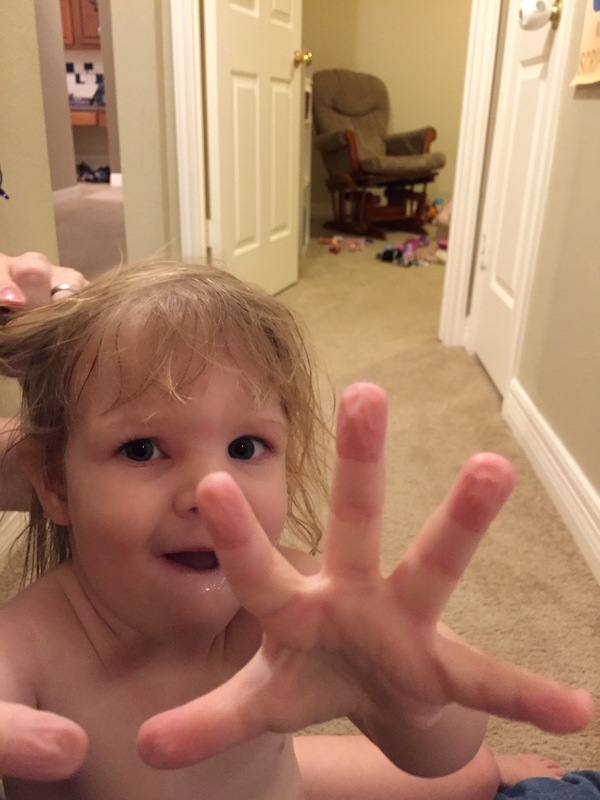 When our kids get pruny fingers after baths, they call them Christmas trees. So cute!! I love this little girl!